Prestige Yacht Charters operates from numerous marinas in the New York, New Jersey and Connecticut areas. Other ports include Yonkers, New Rochelle, Port Washington and Stamford. Please contact us for additional East Coast yacht cruises and charter information. 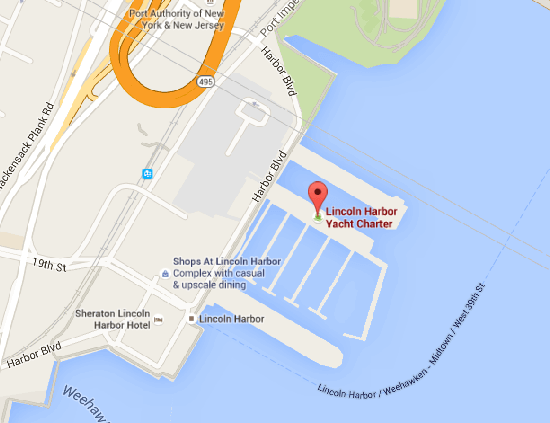 Skyport Marina on East 23rd Street off the FDR Drive. 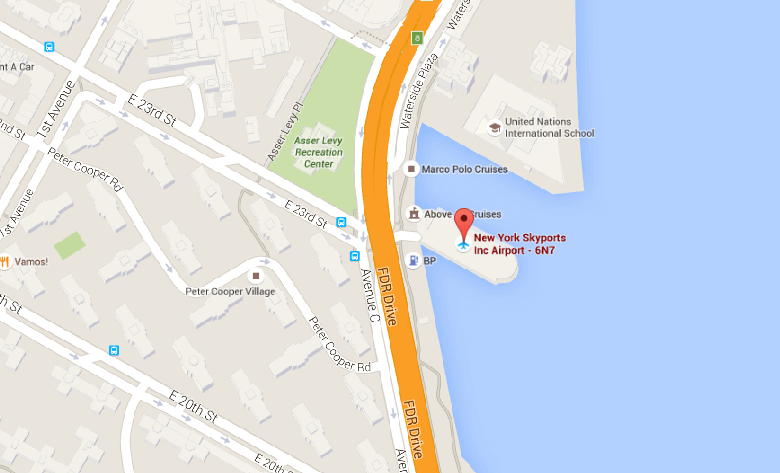 Skyports is actually a Seaplane Base in addition to a Pleasure Boat Marina which has been open since 1962. 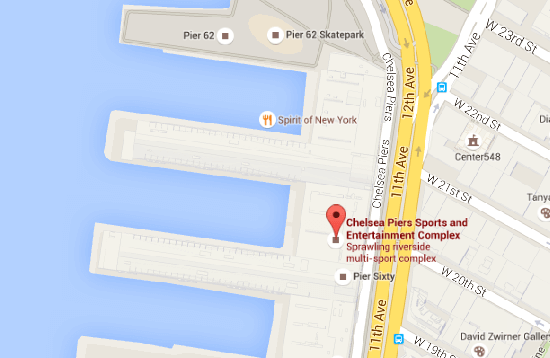 The Marina at Chelsea Piers New York is located in the Hudson River Park between 17th Street and 23rd Street. It's accessible by bus, car, taxi, boat and foot. 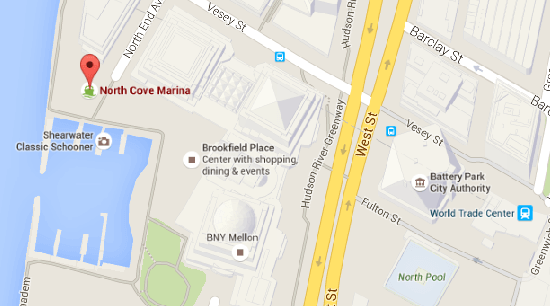 North Cove Yacht Harbor is located at the center of The World Financial Center. Our expansive cruising area is New York Harbor and the Hudson River which include such scenic landmarks as the New York Skyline, The Statue of Liberty, as well as Governors and Ellis Islands. 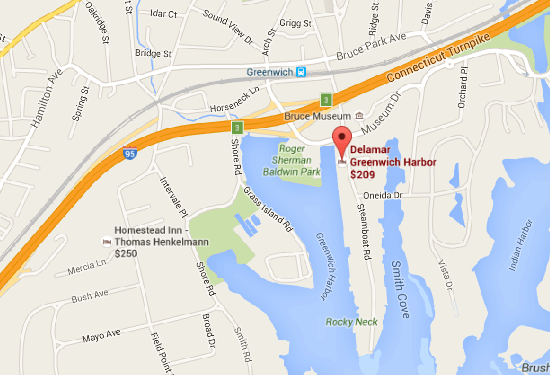 One of the Fair's permanent installations, this 800-boat marina is one of the largest on the East Coast. Located right off the Grand Central Parkway, just North of Citi-Field. 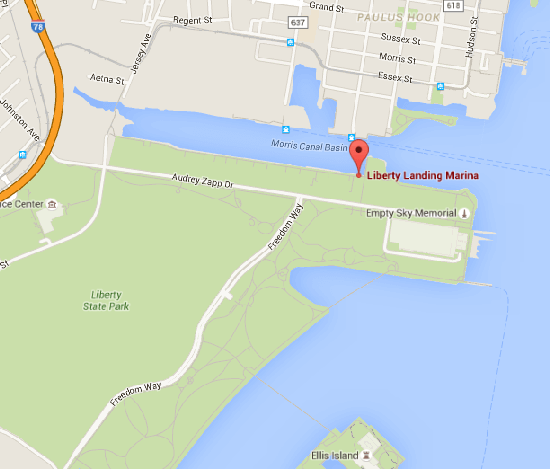 Liberty Landing Marina is located in Liberty State Park minutes from the Holland Tunnel and easily accessible via the New Jersey Turnpike. 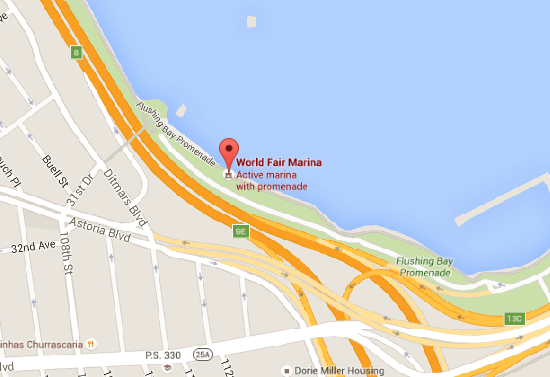 Conveniently located across the Hudson River from Manhattan. Close to the Sheraton Hotel and many shops and restaurants. Located at Greenwich Harbor Connecticut, steps away from the shopping mecca of Greenwich Avenue, minutes from the Metro-North train station and next to exit 3 off I-95. Commuter Ferry & Buses. 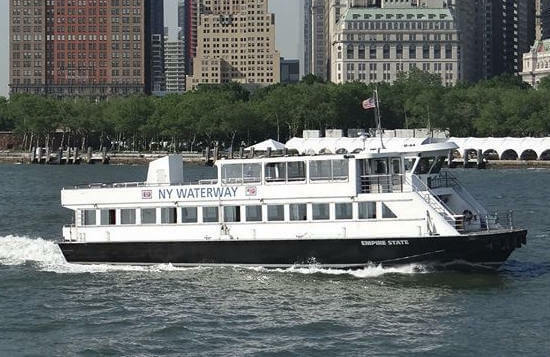 NY Waterway's ferry service can be used to reach many of our ports of departure. Please visit their web site for schedules. New York Water Taxi can be used to reach many of our points of departure. 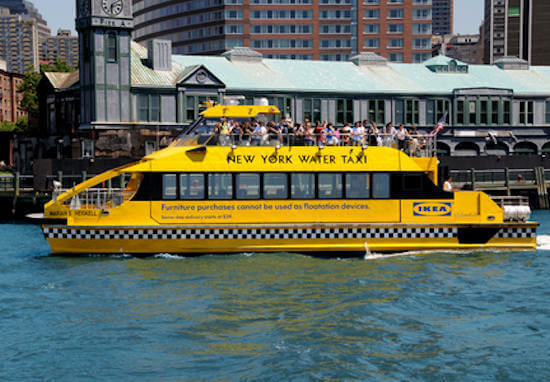 They offer waterfront commuter service from Pier 16 - South Street Seaport, Red Hook Dock on Van Brunt Street, Christopher Street - Pier 45, Pier 79 - W39th St, Pier 11, Pier 1, Ikea Dock and Battery Park. 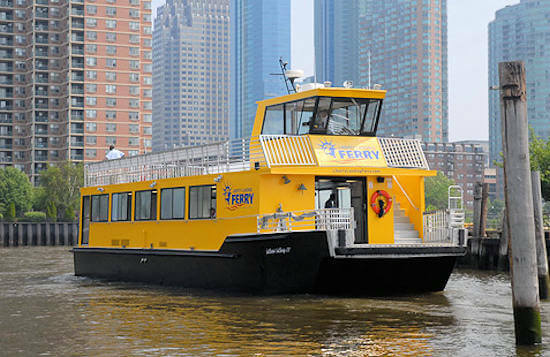 Ferry service that runs every 30 minutes between Liberty Landing Marina in New Jersey, to Warren Street in Jersey City, to the World Financial Center Terminal.